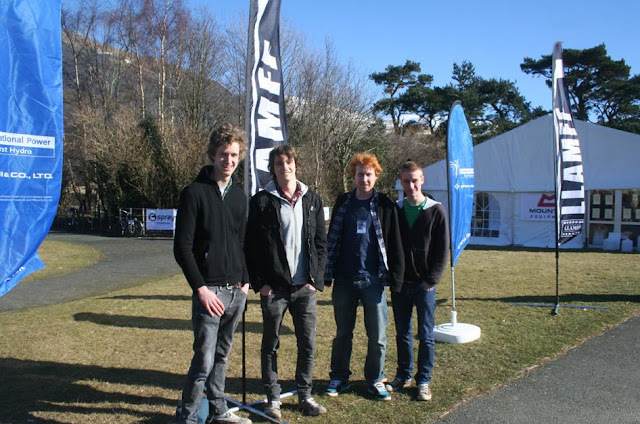 S,o our folksy little bike film got its first outing at Llanberis Mountain Film Festival this weekend. We felt really honoured to have Pretty Sweet shown alongside some really amazing mountain films and be able to take part in what was a lovely weekend of mountain culture. 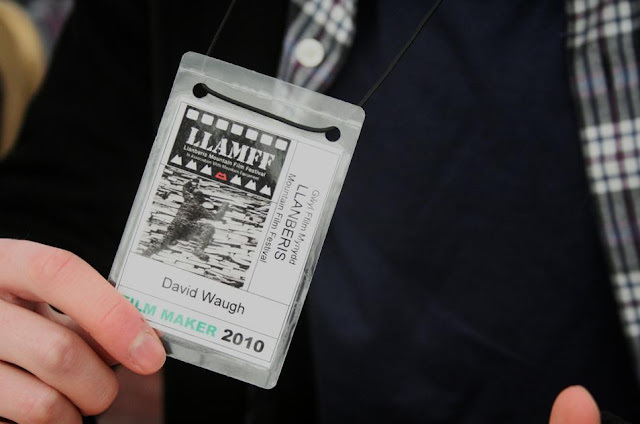 A massive thankyou to all the guys involved in LLAMFF for putting on such an ace event, and letting us be part of it. It is not often complete newcomers get a chance to be shown alongside some of mountain cultures leading filmmakers. They put us on straight after Welsh Connections for goodness sakes. Thankyou to everyone that took the time to watch our film, both the big crowd that saw it on the saturday, and everyone who stuck around on the sunday, and especially to all those people who came up to us with kind words. We really appreciate it. Sadly, even with cool film maker passes, we couldn't pull of the pro look for long. We fit the idiots with a camera look much better. The excellent Rush Hour Dream beat us to best newcomer, as it really was an excellent film. One of my favourites of the whole festival, along with Birdman Of The Karakoram, Welsh Connections and Alone On The Wall. Shoddy picture of the crowd at the end of our first showing. I was so pleased that so many people stuck around. Best say thank you to Sarah for hanging out for the entire weekend. She was inspired to try and get into paragliding. Hey Guys, saw your film on saturday and really enjoyed it. Lookinf forward to your next film. Cheers. Glad you enjoyed it mate (despite the contrast being a bit on the high side).